Today I finally got the news I have been waiting for; Craft Arena is expanding! We will be taking over Studios 49 and 50 which are next door to the current shop and this will enable us to have the shop, workshop and Gallery area in one place - no more bumping into people when I leap across the corridor to The Gallery! The shop will be moving into the centre studio which will enable us to have a larger workshop area with a lot more options for the type of workshops I can hold. The Gallery will move into Studio 50, again giving a larger area to showcase Textile Art exhibitions. 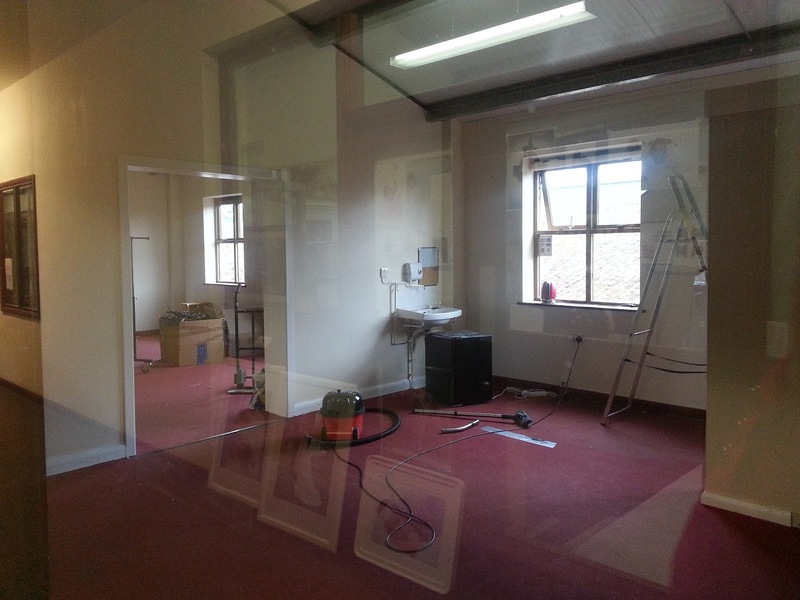 I haven't got the keys yet and this photograph has been taken through (what will be) the Gallery window, so please forgive the reflections, but it will give you an idea of the extra space I will have and the work that has to be done! I'm really excited about the opportunities this move will give Craft Arena and our customers over the coming months and years. I'll keep you updated on developments through this blog and hope to announce our opening date soon, but anticipate that it will be early July. There is lots of planning to do, so I'd better get on with it!